MSPmentor Associate Editor Dan Kobialka attended the Tigerpaw Software Partner Conference in Chicago this week and introduced himself to attendees via selfies. The 2014 Tigerpaw Software Partner Conference was held this week at Chicago’s Hyatt Regency McCormick Place and featured plenty of opportunities for attendees to connect with peers. But of course, no conference would be complete without selfies! 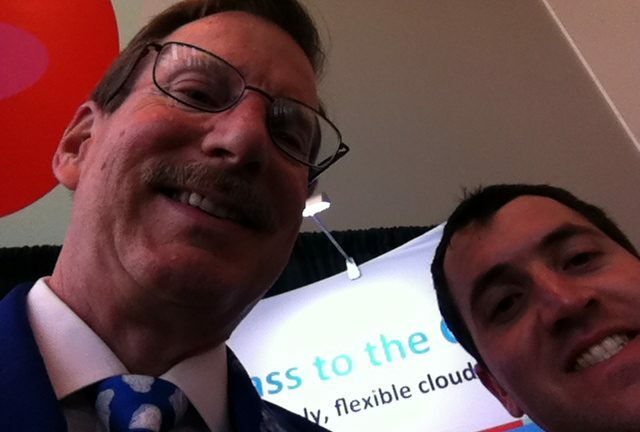 Here are 10 selfies from the Tigerpaw Partner Conference. Have a Tigerpaw Partner Conference selfie you’d like to share? Tweet us @mspmentor or @dkobialka, share your thoughts in the Comments section below or email me at dan.kobialka@penton.com.